DAVID LE/Staff photo. 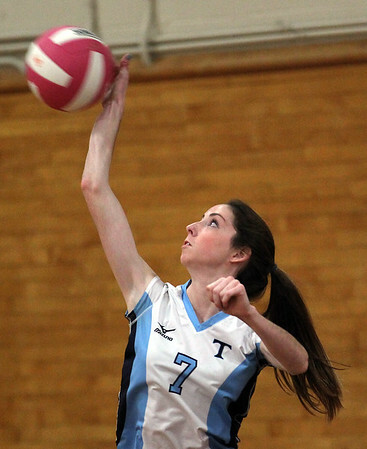 Triton's Teegan Murray serves against Masco on Thursday evening. 10/22/15.